Are you looking for an incredible holiday that the whole family will enjoy? Well, look no further. This truly is the perfect family getaway in one of the most beautiful, mountain getaways on earth. 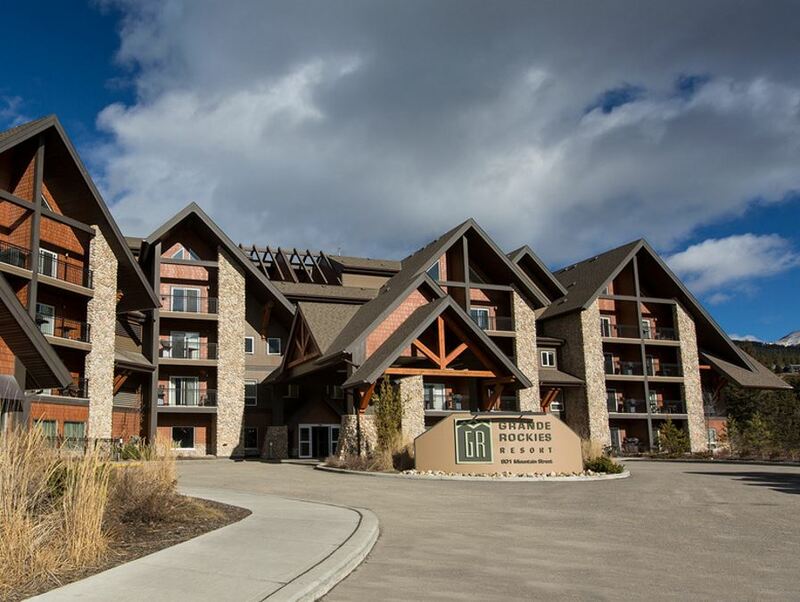 When you bring the whole family, you’ll want to stay at the Grande Rockies Resort. 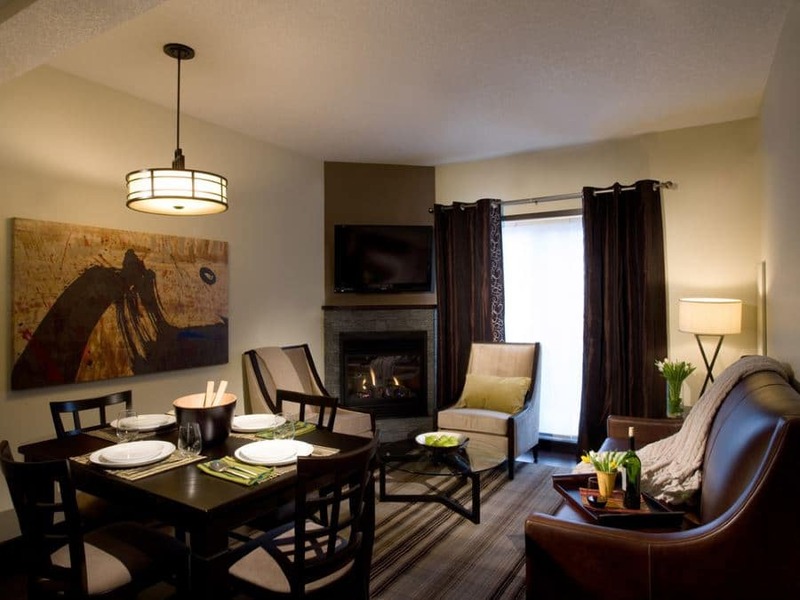 Make sure to rent the condo-style two-bedroom suite; you’ll be grateful for the extra space and the peace and quiet it provides. This is the ideal place for you because you’ll be waking up in a perfect setting with a view of the Three Sisters from the balcony. 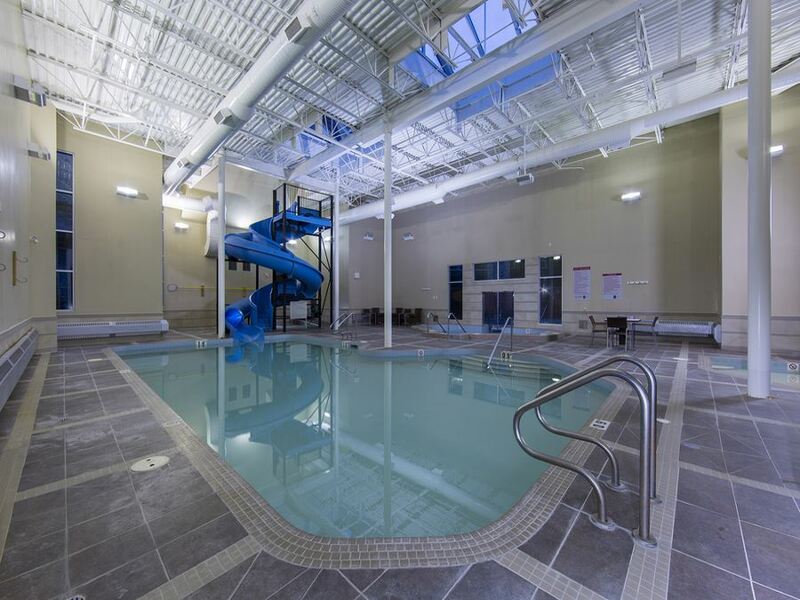 It’s also the ideal place for your kids because they will love the large indoor pool with the 3 story waterslide! Don’t worry there is a beautiful indoor/outdoor hot tub for the parents to relax in as well. Check in at 4p.m., settle into your room, and take in that breath taking view from the balcony – already you’re thrilled you picked the Grande Rockies. Next, walk twenty minutes down to Centennial Park. Your kids can enjoy a wicked playground and burn off some steam before grabbing dinner. This park is home to concerts, multi-use athletic fields, picnic tables, a playground for 1.5yrs – 12yrs and so much more! Once the kids have worked up an appetite, walk 10 minutes to Rocky Mountain Flatbread co. for the best pizza in Canmore, made from scratch with local ingredients. They are extremely accommodating for celiac pizza lovers thanks to their separate oven for gluten free pizzas! And, because you walked, make sure to try their local craft beer or BC wines, they’ve got a great selection. You can eat and drink happy knowing you’re supporting many different local businesses! Once you’re stuffed, head back to the hotel to get the kids in bed and have a good night’s rest, the whole family is going to need it for the adventure we’ve got planned for tomorrow! Wake up and sit on the balcony with a cup of coffee or tea and take in this peaceful moment as long as you can. 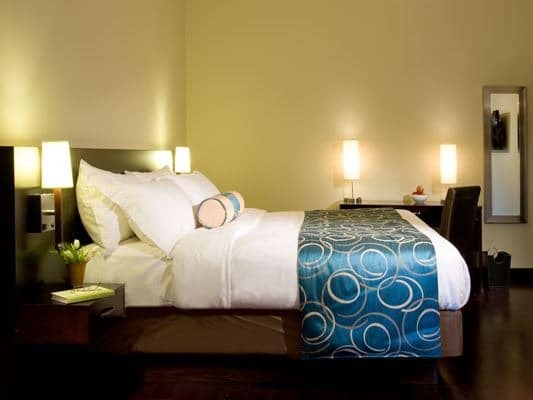 You’ll miss moment of absolute tranquility, when you are back in the city. When the kids are up, get them ready for a full day of adventure! Pack some energy bars, water bottles, and of course a camera. Drive 5 minutes to the Rocky Mountain Bagel Co. for breakfast. Your kids will love the freedom of choosing their own bagels and you’re sure to know that every bagel is made fresh and healthy. 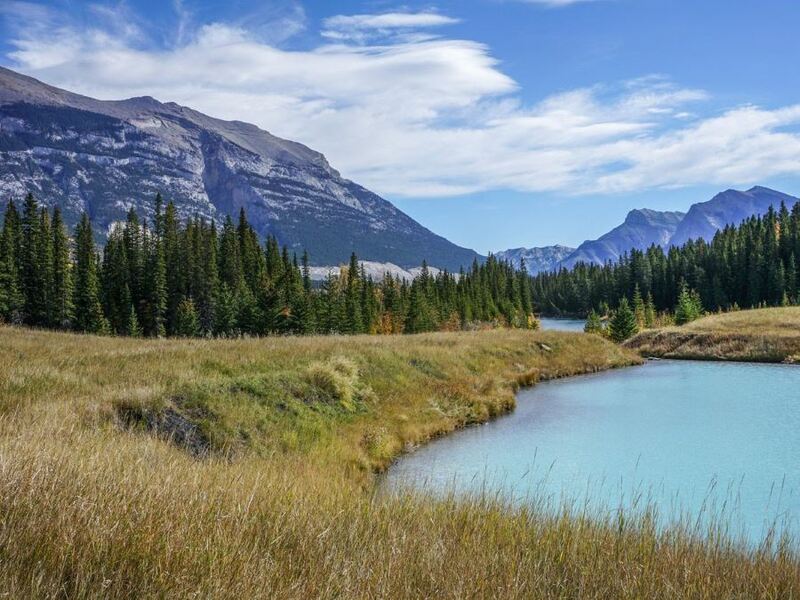 The Grassi Lakes hike is an ideal route in Canmore for beginners, families unaccustomed to hiking in the mountains, or ones with smaller children. 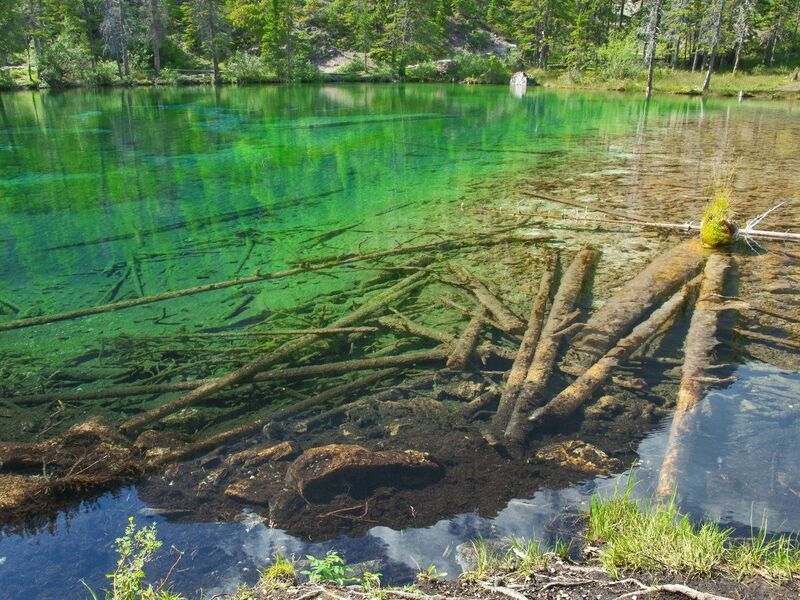 It includes a pair of cozy, crystal clear lakes surrounded by impressive rock faces. If the kids are being fussy on the hike make sure to remind them where you are heading afterwards: a candy store! Bring them to the Olde Tyme Candy Shoppe – a local favourite. It is sure to satisfy anyone’s sweet tooth, and right across the street is Hi Jinx, which is a toy store the kids will love. On the lookout for great outdoor clothes for kids? Glacier’s Edge is a must. They have a large selection of clothes and footwear for your little ones. 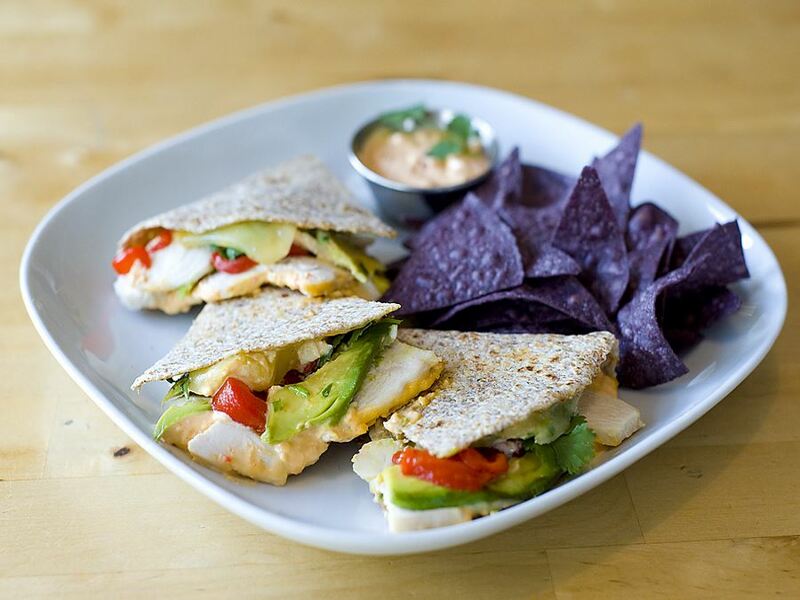 After all the candy the kids are going to need something healthy to tide them over for the rest of the day. Head to Communitea, they have an amazing kids menu and if you’re lucky they’ll have live music. It’s a great atmosphere and you can’t go wrong with anything on the menu. On hot days in Canmore the place to be is Quarry Lake. The water is a tad cold, but there is a great play area for kids. It is incredibly picturesque with the beautiful lake and the mountains as the backdrop. Finally, if the kids just don’t want to hike, consider a caving adventure with Canmore Cave Tours. The Discovery Tour is suitable for all ages, and is very popular! Time to head back to the hotel to shower up and get ready for dinner and, if the kids beg enough, maybe a few rides down the waterslide. The showers in the rooms are incredible, so maybe take turns watching the kids in the pool with your partner to enjoy the luxury shower as much as possible. 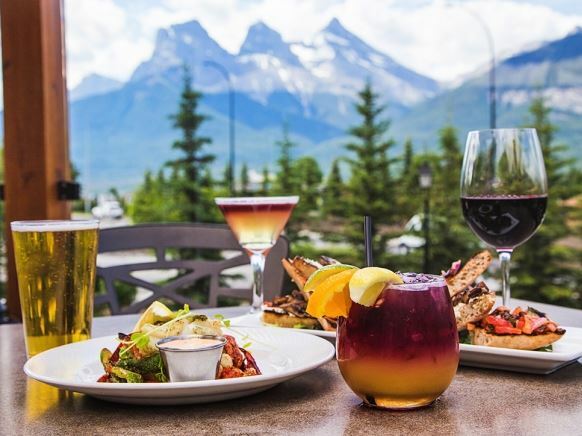 Dinner tonight will be served to you by the Iron Goat; there are two incredible patios that really take advantage of the mountain landscape. They have a large menu perfect for anyone’s taste. After dinner, enjoy a beautiful walk along the Bow River. 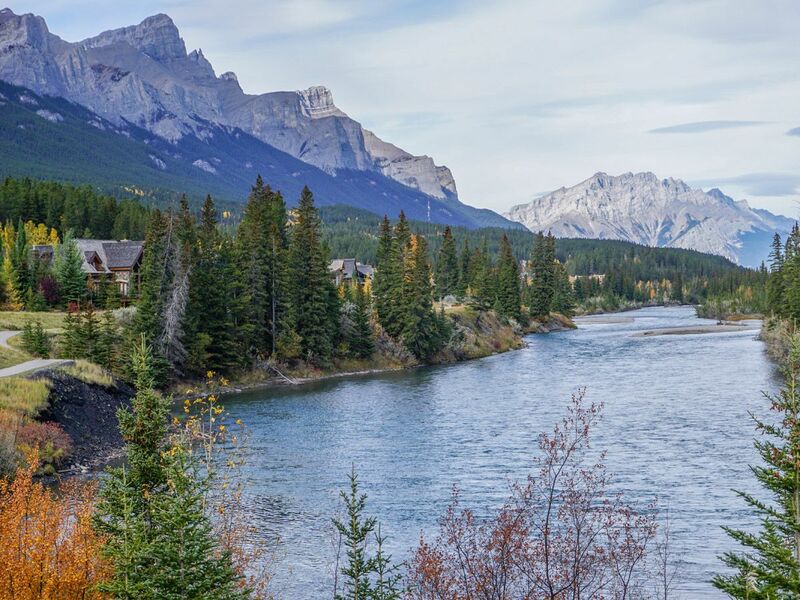 Walking along the Bow River is one of the best family-friendly trails in Canmore. 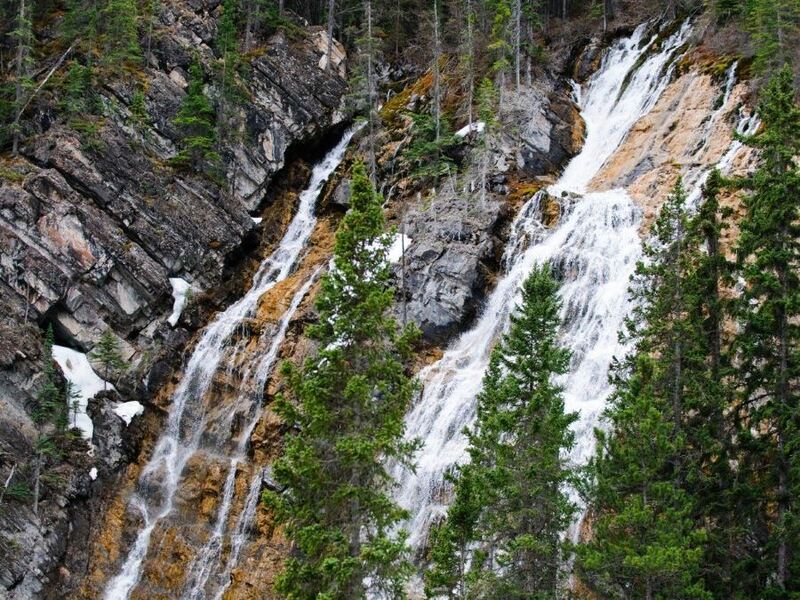 It’s a great hike for those with strollers. Head back to the hotel and spend the last night enjoying the pool. You can rest easy tonight knowing that you planned a vacation that your family will cherish forever. Check out is at 11 a.m. so, once you’re all packed and ready for the trek home head to Beamer’s Coffee Bar for a coffee and a quick bite for the road! We love hearing about all your family adventures! What was the most fun activity? What was the best place for your family photo? What food you ordered or the best candy you bought?  Please share your experience with us!